JUNE: Brussels to Ljubljana, Slovenia for just €19.98! 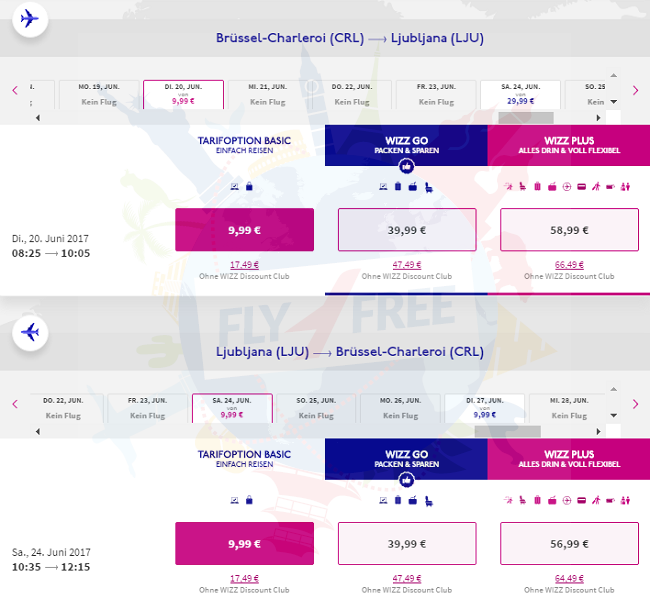 Hungarian low cost carrier is offering cheap flights from Belgium to Slovenia. Visit Ljubljana with flights from Brussels Charleroi for only €19.68 round-trip! Visit Ljubljana, the European Green Capital 2016! It’s a picturesque city with plenty of attractions for every traveller: see the most famous works of Slovenian artists at recently renovated National Gallery and visit majestic Ljubljana Castle, which towers high on a hill overlooking the city. Don’t forget to look out for pictures and statues of dragons – they symbolise the mythological origins of the city! You need to be a member of Wizzair Discount Club (WDC) to get the lowest fare. One cabin bag per passenger with maximum dimensions of 42cm x 32cm x 25cm. We encourage you to stay at 3* Hotel Meksiko with excellent reviews. It’s situated close to local attractions, such as Fabiani Bridge and Metelkova City. The multiple facilities this modern hotel offers include an airport shuttle, a 24-hour reception and an express check-in and check-out feature. The modern rooms feature a flat-screen TV, an in-room closet and a private bathroom. Cable/satellite channels, a hair dryer and a shower are also provided. 5* Hainan: Cheap non-stop flights from Brussels to China from only €397! 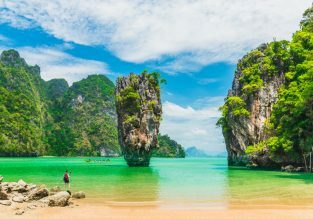 Cheap flights from Rome to multiple Thai destinations from only €352!